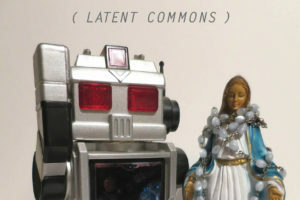 Latent commons are hidden, fugitive moments of entanglement between living beings in a complex world. These commons may not be directly visible, as they structure themselves and develop in interaction, cooperation, competition and desires between different beings and environments. Anna L. Tsing writes about latent commons in the context of her book “The mushroom at the end of the world”, which puts into question how life in capitalist ruins would come to be. Her study explores ruined industrial landscapes and precarious livelihoods, where a special kind of mushroom grows that is of highest value for some, while others don’t appreciate its special taste. This serves as the setup for a variety of global processes, leading to a landscape full of mutual influences while also uncovering otherness on the way. Constellations as such serve as a guide through the vibrations of the city of Belgrade. Five international artists look to uncover hidden commons on location in their respective fields, between themselves, their roots and the surrounding ground. The results will be displayed at U10 Art Space.